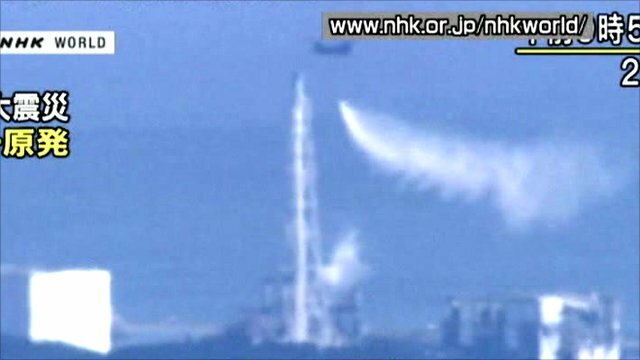 Water dropped on Japan reactors Jump to media player Japanese army helicopters dropped water on the tsunami-stricken Fukushima Daiichi nuclear plant in an attempt to cool the reactors. Attempts to cool Japan nuclear reactors Jump to media player Engineers are racing to avert a nuclear catastrophe at the Fukushima Daiichi power plant, 220km (140 miles) from Tokyo. 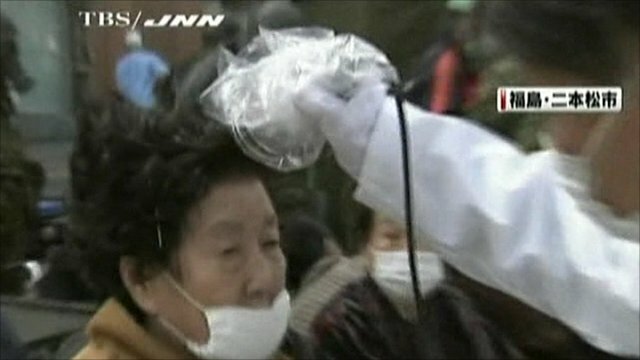 Inside Fukushima's exclusion zone Jump to media player The BBC has obtained footage from a local Japanese television crew who wanted to tell the story of those trapped inside the exclusion zone. 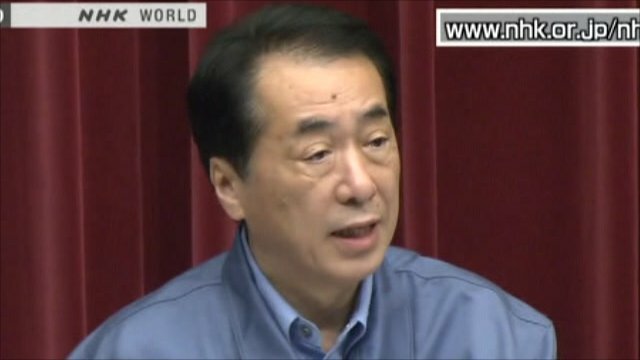 Japan PM calls for evacuation Jump to media player Japan's PM Naoto Kan says people should evacuate an area within 20km radius around nuclear plant. Japan says it is stepping up efforts to cool reactors at the tsunami-stricken Fukushima Daiichi nuclear plant, as army helicopters dumped tonnes of water to try to prevent a meltdown of fuel rods. 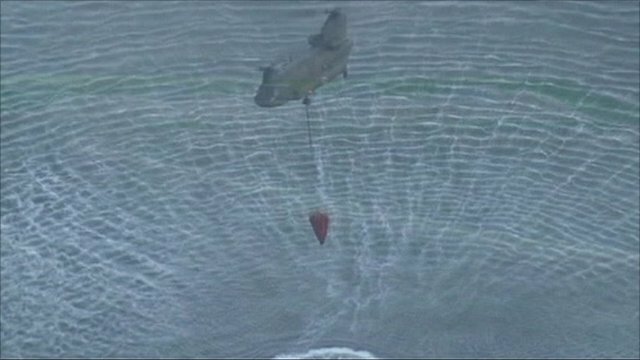 Japan's military CH-47 Chinook helicopters began spraying tonnes of water on reactors three and four at Fukushima, 220km (137 miles) from Tokyo, at 0948 local time (0048 GMT), officials said. The aircraft dumped four loads before leaving the site in order to minimise the crews' exposure to radiation. 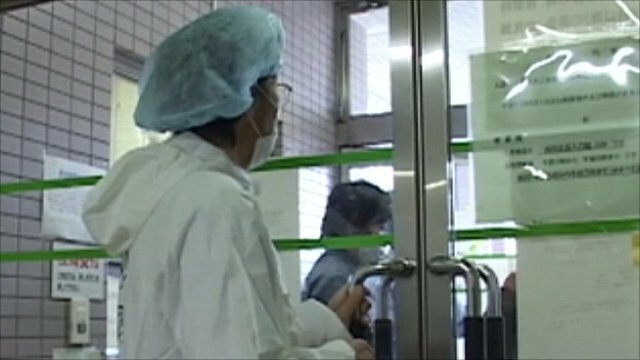 On Wednesday, the helicopters were forced to abort a similar operation amid concerns over high radiation levels. Professor Andrew Sherry, director of the Dalton Nuclear Institute at the University of Manchester, explained why the measures were being taken.